5.2 Earthquake hits southwestern Siberia, Russia. 5.1 Earthquake hits Guerrero, Mexico. 5.0 Earthquake hits Barbados in the Windward Islands. 5.0 Earthquake hits the Bismarck sea. Tropical Storm Joaquin is located about 240 mi…390 km ENE of the central Bahamas with maximum sustained winds…70 mph…110 km/h. Present movement…WSW or 245 degrees at 6 mph…9 km/h. Tropical Depression Marty is located about 115 mi…185 km SSW of Zihuatanejo Mexico and about 250 mi…405 km se of Manzanillo Mexico with maximum sustained winds…35 mph…55 km/h. Present movement…W or 270 degrees at 5 mph…7 km/h. Invest 99L is an area of disturbed weather in the North Atlantic that has the potential for tropical development. Invest 90L is an area of disturbed weather in the North Atlantic that has the potential for tropical development. Florida, USA – High tide hit parts of South Florida Tuesday leaving some streets inundated with water. The super moon event brought exceptionally high tides to much of Florida’s coast causing sporadic flooding in many areas. Wales – Rare ‘supertides’ have hit the Welsh coast, leading to a flood warning and seven flood alerts. 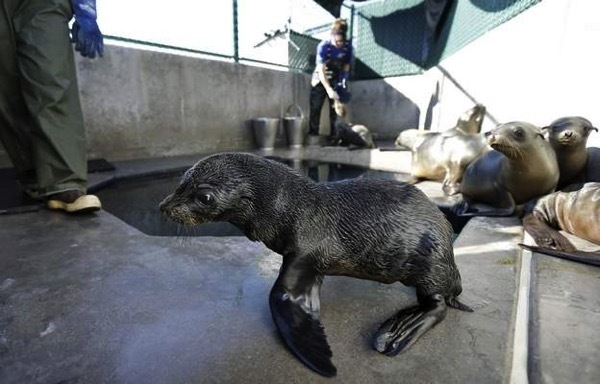 Scientists are looking at ocean-warming trends to figure out why endangered Guadalupe fur seals are stranding themselves and dying in alarming numbers along the central California coast. Approximately 80 emaciated fur seals have come ashore since January — about eight times more than normal — leading the National Oceanic and Atmospheric Administration this week to declare an “unusual mortality event” for the animals. The classification diverts additional resources to study the animals, which have been traditionally under-researched, officials said. Researchers will try to determine if the die-off is a result of a disruption in the seal’s feeding patterns from a large-scale warming of the Pacific Ocean, Toby Garfield, an official with NOAA’s Southwest Fisheries Science Centre, said Tuesday. The so-called warm blobs occurring during a persistent high-pressure ridge have grown to cover most of the West Coast and have been previously blamed for discoveries of emaciated young sea lions off California and starving seabirds off Oregon and Washington. Some of the fish species that fur seals usually eat may have moved farther north to escape the unusually warm waters, Garfield said during a teleconference. New Zealand is creating one of the world’s largest fully protected ocean sanctuaries, twice the size of the nation itself, the country’s prime minister announced on Monday. “This is an area twice the size of our land mass and 50 times the size of our largest national park. It is truly a special place and we want to keep it that way,” prime minister John Key said at a United Nations summit on Monday. 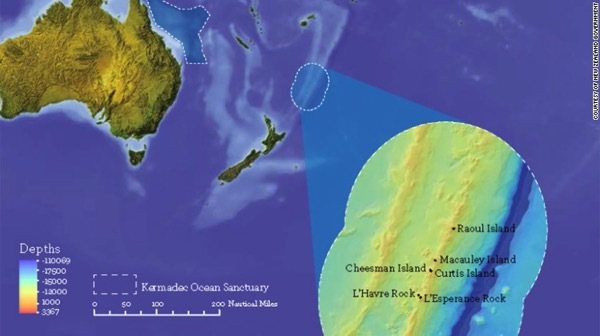 The 620,000 square kilometre (about 240,000 square miles) ocean sanctuary is in the Kermadec region, to the northeast of New Zealand. The area is 35 times larger than the country’s existing marine reserves and includes the world’s longest chain of submerged volcanoes and the second deepest ocean trench, the New Zealand government said. It’s also home to several endangered sea turtle species, and serves as an important breeding and feeding ground for seabirds, whales and dolphins. 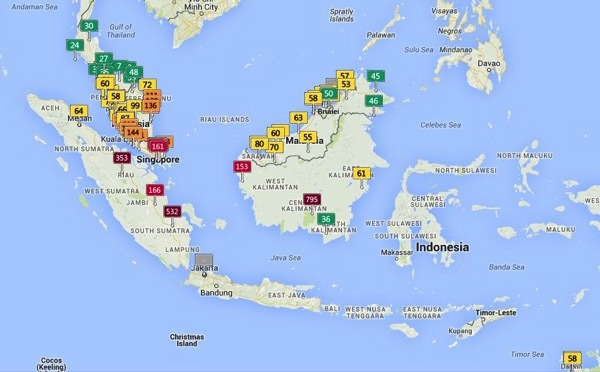 Indonesia has sent nearly 21,000 personnel to fight forest fires raging in its northern islands, the disaster management agency said on Tuesday, but smoke cloaks much of the region with pollution readings in the “very unhealthy” region in neighbouring Singapore. Slash-and-burn agriculture has blanketed Singapore, Malaysia and northern Indonesia in a choking “haze” for weeks, pushing up pollution levels and disrupting flights, as it does every year. Indonesia’s efforts to halt the seasonal clearances have failed. 5.4 Earthquake hits Jujuy, Argentina. 5.1 Earthquake hits offshore Honduras. Tropical Storm Joaquin is located about 385 mi…620 km NE of the central Bahamas with maximum sustained winds…40 mph…65 km/h. Present movement…W or 270 degrees at 5 mph…7 km/h. Tropical Storm Marty is located about 95 mi…155 km S of Zihuatanejo Mexico and about 120 mi…195 km WSW of Acapulco Mexico with maximum sustained winds…65 mph…100 km/h. Present movement…E or 90 degrees at 2 mph…4 km/h. Typhoon Dujuan is located approximately 131 nm west of Taipei, Taiwan, and is tracking northwestward at 11 knots. Typhoon Dujuan has killed two people and left more than 300 injured in Taiwan, authorities said on Tuesday after it swept across the island before making landfall in eastern China. Almost half a million people are still without electricity in Taiwan as the storm left a trail of destruction in the north of the island. It hit the Chinese coastal city of Putian on Tuesday morning, but there were no immediate reports of damage. Post-Tropical Cyclone Niala is located about 405 mi…650 km S of Honolulu Hawaii and about 315 mi…510 km SW of South Point Hawaii with maximum sustained winds…30 mph…45 km/h. Present movement…WNW or 285 degrees at 9 mph…15 km/h. USA – Historic rainfall along the Gulf Coast turned roads into canals and parking lots into lakes — and no letup was expected Monday. Mobile, Alabama, saw its 10th wettest day since records began in 1871, according to Weather Channel lead meteorologist Kevin Roth. The city was drenched by more than 7.5 inches of rain Sunday. The deluge was still going strong early Monday, also soaking areas of the Florida Panhandle, while a separate system of heavy rain was hitting parts of Louisiana and Texas. In Mississippi, some residents were forced to leave their cars in the garage — instead taking to canoes — after the torrent left streets underwater. The Magnolia State saw most of its rain Sunday and the system had largely moved on by Monday morning. New York City health officials are investigating seven cases of Legionnaires’ disease in the Bronx, about two months after an outbreak of the same type of pneumonia killed 12 people in the borough and sickened more than 100. The new cluster is associated with the Morris Park section of the Bronx, and is unrelated to the earlier outbreak, which was centred in the South Bronx, city officials said Monday. The Ministry of Education is reporting that there is now an outbreak of the hand, foot and mouth disease in several schools on the island. 5.3 Earthquake hits the northern Mid-Atlantic ridge. 5.0 Earthquake hits offshore Coquimbo, Chile. Tropical Storm Marty is located about 170 mi…275 km SSW of Zihuatanejo Mexico and about 225 mi…360 km WSW of Acapulco Mexico with maximum sustained winds…70 mph…110 km/h. Present movement…N or 360 degrees at 2 mph…4 km/h. Typhoon Dujuan is located approximately 101 nm southeast of Taipei, Taiwan, and is tracking northwestward at 10 knots. Strong Typhoon Dujuan (Typhoon Jenny in Philippines) is forecast to bring torrential rains and high winds across Taiwan, with landfall predicted around 15:00 GMT Monday. Almost 3,000 people, most of them tourists, were evacuated Sunday from Taiwan’s Green Island and Orchid Island. Tropical Storm Niala is located about 330 mi…530 km SSW of Hilo Hawaii and about 440 mi…705 km SSE of Honolulu Hawaii with maximum sustained winds…40 mph…65 km/h. Present movement…WSW or 245 degrees at 10 mph…17 km/h. Tropical Depression Eleven is located about 420 mi…675 km SW of Bermuda with maximum sustained winds…35 mph…55 km/h. Present movement…W or 275 degrees at 2 mph…4 km/h. Mississippi, USA – A flash flood emergency has been declared until 8 p.m. Sunday for the eastern part of Jackson County, Mississippi, including Pascagoula, Moss Point and Escatawpa, the National Weather Service said. Doppler radar has noted five to eight inches rainfall in the area and another two inches are expected. Between 12 and 18 September 2015, the National IHR Focal Point for the Kingdom of Saudi Arabia notified WHO of 13 additional cases of Middle East respiratory syndrome coronavirus (MERS-CoV) infection, including 1 death. On 15 September 2015, WHO received a notification from the IHR National Focal Point of Iraq of laboratory-confirmation of cholera in at least five governorates. As of 23 September 2015, a total of 120 stool samples have been tested positive at the Central Public Health Laboratory of Baghdad for Vibrio cholerae 01 Inaba. Laboratory-confirmed cases have so far been reported from at-least five Governorates of the country- Baghdad Babylon, Najaf, Qadisiyyah, and Muthanna. The preliminary investigation revealed contaminated water source as the cause of this current outbreak. 5.6 Earthquake hits Kepulauan Babar, Indonesia. 5.1 Earthquake hits the Chagos Archipelago. 5.0 Earthquake hits the Gulf of California. Tropical Depression Ida is located about 1060 mi…1705 km ENE of the northern Leeward Islands with maximum sustained winds…30 mph…45 km/h. Present movement…W or 270 degrees at 5 mph…7 km/h. Tropical Storm Marty is located about 280 mi…450 km SW of Acapulco Mexico with maximum sustained winds…50 mph…85 km/h. Present movement…N or 360 degrees at 6 mph…9 km/h. Typhoon Dujuan is located approximately 320 nm east-southeast of Taipei, Taiwan, and is tracking west-northwestward at 08 knots. Tropical Storm Niala is located about 240 mi…390 km SSE of Hilo Hawaii and about 435 mi…700 km se of Honolulu Hawaii with maximum sustained winds…50 mph…85 km/h. Present movement…WSW or 255 degrees at 8 mph…13 km/h. Invest 92E is an area of disturbed weather in the East Pacific that has the potential for tropical development. Invest 98L is an area of disturbed weather in the North Atlantic that has the potential for tropical development. Philippines – One person was killed while about 100 families were displaced as heavy and continuous rains brought about by the southwest monsoon pounded Zanboanga city on Friday, causing massive flooding. The heavy downpour, that flooded streets and low-lying areas, came with strong winds that uprooted trees in a number of barangays or villages in this city. 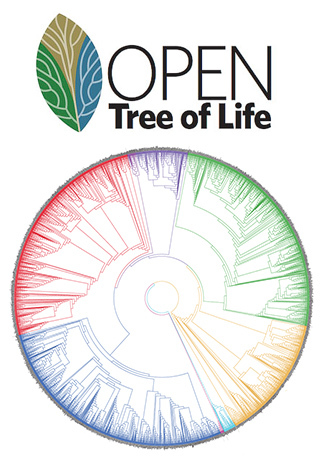 The first draft of what’s being called the “Tree of Life” shows how all of the planet’s 2.3 million named species of animals, plants, fungi and microbes are related. Researchers from 11 separate institutions created the detailed family tree of all creatures great and small, which shows how life evolved and diverged. While tens of thousands of smaller “trees” have been published for specific branches of nature, this is the first time they’ve been combined to give an organized structure to all living things. Understanding how species are related can help scientists discover new drugs, increase crop and livestock yields, and trace the origins and spread of infectious diseases such as HIV, Ebola and influenza, the researchers say. The tree can be seen here. Bagana (Bougainville Island, Papua New Guinea): Mild activity with occasional explosions seems to continue at the volcano. A volcanic ash plume to 7,000 ft (2.1 km) altitude was detected this morning extending 55 nautical miles to the NE (Darwin VAAC). A weak to moderate thermal anomaly has been recorded by MODIS satellite sensor over the past months. Dukono (Halmahera): Strong, often near-continuous ash emissions continue at the volcano. Yesterday, VAAC Darwin reported an ash plume extending 70 km to the NE. Telica (Nicaragua): A series of 5 moderately strong explosions occurred at the volcano yesterday and lasted half an hour. It produced dense ash plumes and ejected blocks to up to 500 m distance. According to Nicaraguan press, the activity is still phreatic and does not involve new magma, but it could be building up to a magmatic eruption. Authorities for the time being rule out evacuations, but have started to prepare for the case this would become necessary.